This is the newer models of radio that I own. Only one model out of date. 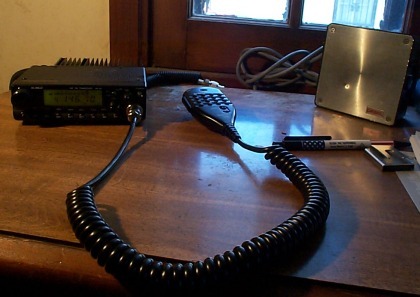 (DR-135T is the current model). All manner of bells and whistles, including 70CM receive, AM air band receive, search mode with graph, and remote mic frequency entry. Still getting used to using it all. For all it's bells and whistles it still basicaly operates like my favorite late 90s models the added features of the backlit buttons and customizeable scan make it a true winner in the car! It does seem slightly more vulnerable to intermod then the DR-130T was however. Update, I sold this radio. No knock on the radio. I just did not need two 2 meter mobile rigs any longer. And the DR-130T preformed a slight bit better.